digi24Constantin Reliu, who is dead and also not dead. Constantin Reliu, 63, is officially dead. 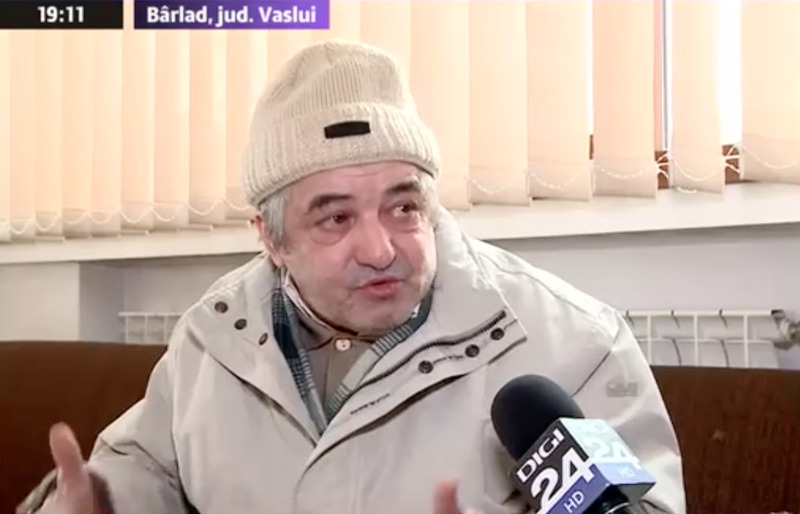 His wife got him a death certificate in 2016, years after he left his native Romania and lost contact with his family. He later came back, and has been told the death certificate cannot be revoked. A Romanian court has rejected a man’s attempts to persuade them that he is alive. Constantin Reliu, 63, attempted to convince a court in the city of Vaslui that his government-issued death certificate is incorrect, but failed. The legal system said that the decision to register him as deceased in 2016 is final, even though he is definitely alive. His wife obtained the death certificate after she lost contact with him for a period of several years after he moved to Turkey for work, the Associated Press reported. Reliu was eventually deported from Turkey on the grounds that his immigration papers had expired. He learned of his apparent death when he got back. According to the Romanian TV channel digi24, judges told Reliu that the appeal period for changing the death certificate had passed, meaning there is nothing they can do.